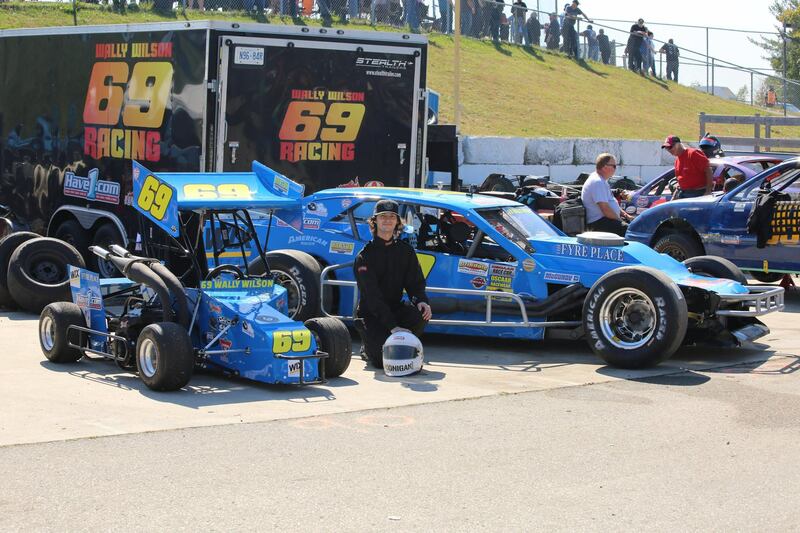 OWEN SOUND, Ontario — Each lap Wally Wilson Racing is able to lead this year, whether in the Queenston OSCAAR Modified or Outlaw Midget, it’s going to help a great cause. That’s because Wally Wilson will supporting the Laps 4 Muscular Dystrophy (L4MD) program once again. Through the program, racers and teams pledge to donate $1 for every lap they lead in competition to Muscular Dystrophy Canada. You can learn more about L4MD on their website at https://laps4md.blogspot.com/. Muscular Dystrophy Canada was founded in 1954 to help families affected by neuromuscular disorders by continually working to provide ongoing support and resources while relentlessly searching for a cure through well-funded research. As noted on their website, “Neuromuscular disorders are a group of diseases that weaken the body’s muscles. The causes, symptoms, age of onset, severity and progression vary depending on the exact diagnosis and the individual.” You can learn more about the diseases, as well as Muscular Dystrophy Canada on their website at http://www.muscle.ca. Wally Wilson Racing will receive sponsorship support from The Fyre Place & Patio Shop, Larry’s Small Engines, Have1.com, and Wix Filters for both entries for 2019. He will also be proudly supporting the #BurnOutTheBully campaign.